Bolton is a town in Greater Manchester in North West England. A former mill town, Bolton has been a production centre for textiles since Flemish weavers settled in the area in the 14th century, introducing a wool and cotton-weaving tradition. The urbanisation and development of the town largely coincided with the introduction of textile manufacture during the Industrial Revolution. Bolton was a 19th-century boomtown, and at its zenith in 1929 its 216 cotton mills and 26 bleaching and dyeing works made it one of the largest and most productive centres of cotton spinning in the world. The British cotton industry declined sharply after the First World War, and by the 1980s cotton manufacture had virtually ceased in Bolton. NorthWest Catering and Event Hire deliver catering equipment and event furniture throughout Greater Manchester including Bolton. The metropolitan borough of Bolton covers the town of Bolton itself along with Farnworth, Blackrod, Horwich, Kearsley and Westhoughton. It also includes the urban district of Little Lever and the southern part of Turton. While Bolton was once a centre of heavy industry, the last quarter of the 20th century saw it being replaced by serviced based activities such as call centres, data processing and hi-tech electronics. There is still some manufacturing done in the area, with paper manufacturers, textile companies and steel foundries. The leisurewear firm Reebok have a huge presence in the town as they were originally founded there and they were sponsors of the stadium of the local football club Bolton Wanderers. 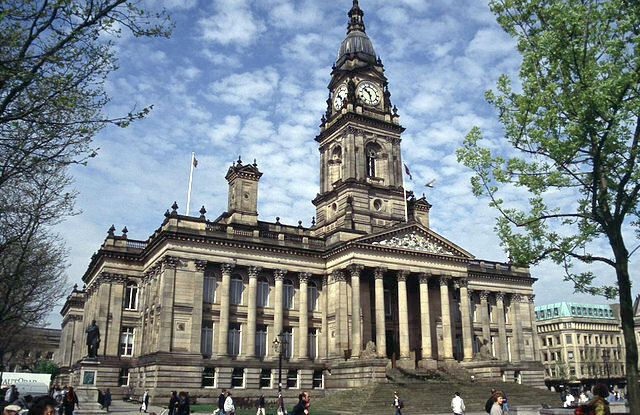 There are 26 conservation areas within Bolton, with 700 listed buildings contained within. Many of these are in the city centre of Bolton which add to the town's charm. Our drivers are frequently in the area - below is a sample of some of the hire they deliver.